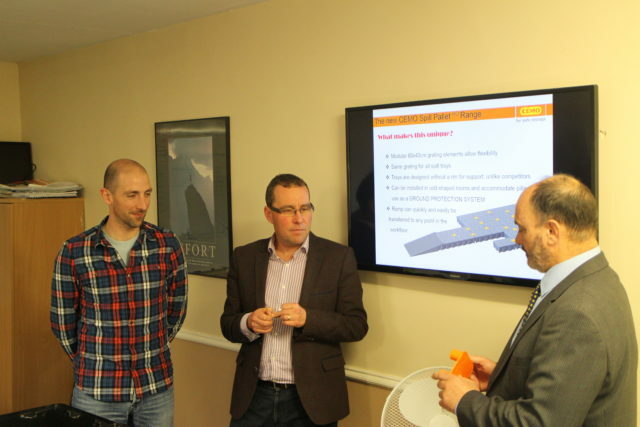 Chemstore’s most recent product training day was held on the 20th of April with CEMO. Chemstore are delighted to announce a new product range “PE Ground Protection Systems HD” which can now be seen on our website. Below you can see our guys getting trained in on this exciting new product. Through our product development Chemstore continuously aims to provide the best possible service to our customers. Click Here for information on this exciting new product.